In the 1690s, Smith watched the aftermath of the Revolution unfold. It was not a pretty sight. Maritime trade was battered by war with France, taxes doubled within a few years, food prices rose dramatically and the people lost faith in the currency. Although Smith seems to have lived a fairly comfortable life and remained focused on his scholarly work, his correspondence reveals that he had a good eye for the problems that beset ‘the common people’ in this decade. By 1695, Smith’s letters to his friend, John Cotton, had turned into darkly comic commentaries on the miserable state of the nation. In May of that year, he complained of the great sums of money sent to the continent to pay for the war, especially to ‘that blessed country, Holland, to which we owe our present happiness, our wealth, flourishing trade, and righteous settlement; for which it seemes wee cannot give them Guinies enough nor bee too thankfull’. The Lords Justice, who ruled England while William III was campaigning in Flanders, were coming to be known as ‘the Seven overseeres of the Poor’. When Smith wrote again to Cotton a few months later, the situation had become still worse. Everywhere were heard ‘the complaints of the merchants for the loss of their shipps from East and West India, which dampt the joy of [the victory at] Namur, … so instead of erecting triumphal arches they are now inclinable to hang the Exchange with black and make a bonfire of the Admiral’s house for not securing their commerce’. 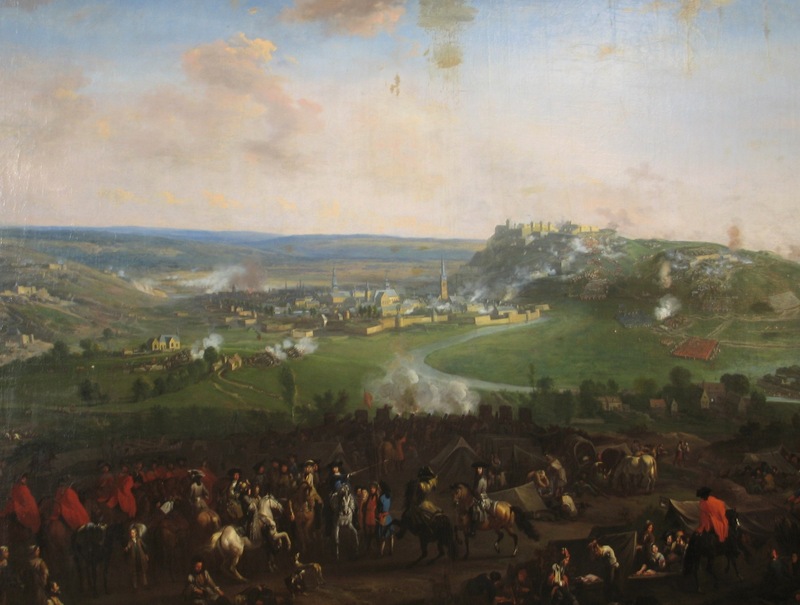 The victory at Namur, 1695: worth the trouble? Such comments on the dismal conditions of the 1690s were exceptional in their wit, but Smith’s dark perspective on life in Williamite England was hardly unusual. As soon as I began looking through records from this period, I started finding similar cases of people ranging from Jacobite pamphleteers to angry alehouse-goers complaining about ‘the state of the nation’, often in highly politicised ways. England was beset by painful economic strains in this decade and, unsurprisingly, many people traced the source of these problems back to the revolutionary chages of the late 1680s, variously blaming the old king or the new king, the Dutch or the French, scheming politicians or corrupt bureaucracts. I’ve just published an article looking at these arguments in the latest issue of English Historical Review. I didn’t get a chance to include Thomas Smith, my new favourite non-juror and dead-pan comic, so I thought I’d share a few snippets from his letters here. The letters can be found at the Bodleian Library, MS Smith 59. The economic problems of the 1690s spurred an extraordinary surge in politicised debates and complaints about commercial, financial and other material affairs. 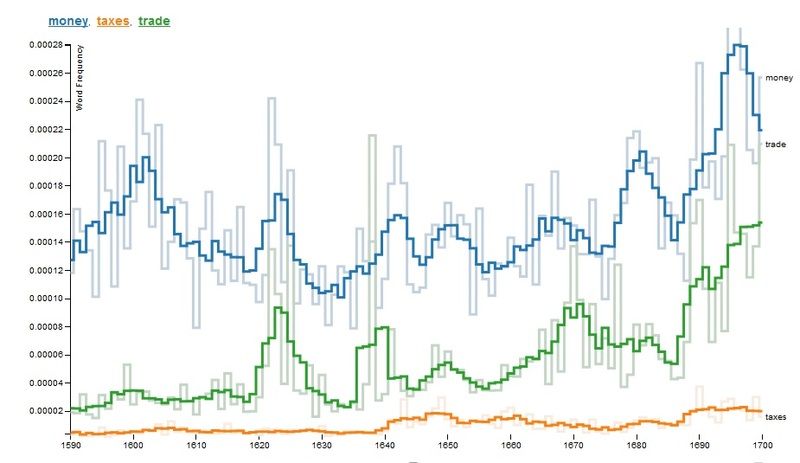 This article begins by examining the magnitude of the shift that occurred in economic fortunes between the reigns of James II (1685–8) and William III (1689–1702), highlighting the main sources of concern: wartime disruption to trade, rising taxes, the currency crisis associated with the recoinage of 1696, and the high food prices of 1693–9. More significantly, it then assesses the nature and extent of the public response. 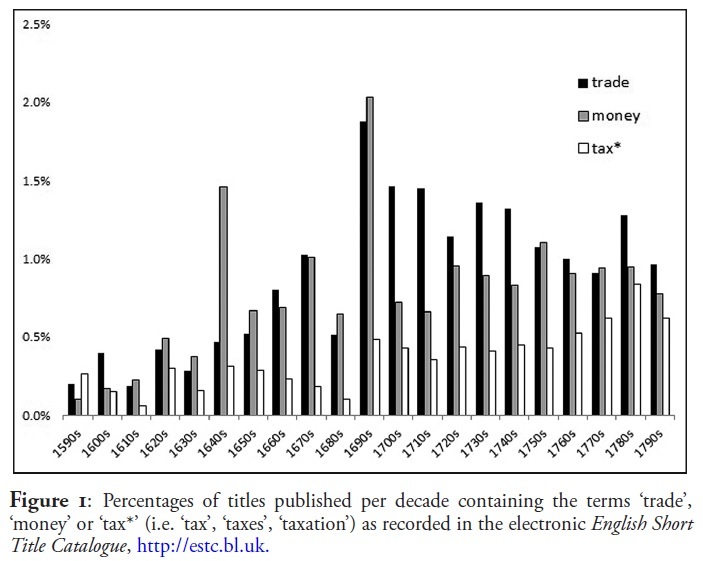 Trade, finance and fiscal impositions became increasingly pervasive topics of public conversation and printed debate, as evidenced both by anecdotal reports and an approximate but telling analysis of published titles. Moreover, national political divisions—between Williamites and Jacobites, Whigs and Tories, Court and Country, anti-French and anti-Dutch—were central to this economic discourse. Perceptions of the monarch and parliamentary leaders were directly linked to how people interpreted the hardships of this decade. This manifested itself in innumerable short tracts, broadside ballads, seditious conversations, riotous protests and many other modes of public communication. Finally, through comparisons with earlier and later periods such as the 1540s, 1590s, 1640s and the early eighteenth century, this article demonstrates that the tumult of the 1690s had a long-term impact and has been unjustly neglected in the historiography of economic crisis and political conflict. I even attempt to provide a very crude quantitative analysis of the new prominance of economic issues in print in the 1690s. Conveniently, the figures from the ESTC that I used in the article seem to line up rather nicely with a graph of the terms created using the EBBO ngram tool. This entry was posted in History and tagged found art, hear ye! hear ye!, Madison Avenue, politiques & politicos by Brodie Waddell. Bookmark the permalink. Nice use of the tools on Early Modern Print! Thanks, Stephen. It’s a great tool. I cited it as supporting evidence in the EHR article, but didn’t actually include the ngram because (1) it wasn’t available when I started researching this, so I started with the ESTC method borrowed from Phil Withington; (2) it ends in 1700, which is rather annoying when you are trying to show that the 1690s were exception rather than just part of a gradual growth in the use of these terms; (3) it is tricky to do wild-cards, so ‘tax/taxes/taxation’ becomes difficult to track. Still, I was very pleased to find that it confirmed my suspicions and reinforced the ESTC evidence! I’m really looking forward to reading the longer article. Yes, the 1690s were a pretty sucky decade. Thanks, Rachel. You’ll notice in the article a surprising lack of references to a certain Prof. Weil, whose book on Informers I’ve greatly enjoyed and whose work is essential for understanding the decade. My only defence is that the article was mostly written only shortly after the book came out, so I hadn’t read it yet. Still, a mistake not to be repeated!